Pilot Course Reader English 100 (Omnibus Edition) by UW-Madison English 100 Program is licensed under a Creative Commons Attribution 4.0 International License, except where otherwise noted. The essays in this text feature an array of reuse permissions rights. 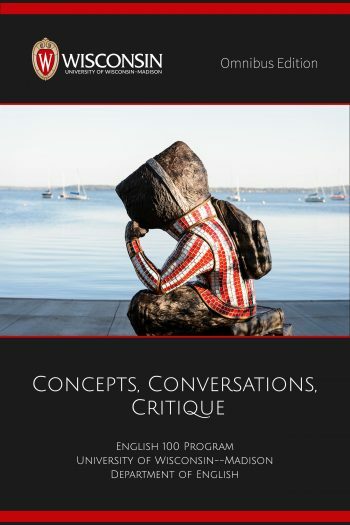 The UW-Madison English 100 Program is committed to the Wisconsin Idea and to UW-Madison’s Educational Innovation initiative to increase access to educational materials within and beyond our university. Thus, whenever possible, we have included essays that feature open or Creative Commons licenses.